Maypole Ltd is a company that uses prison labour to make trailer boards for stores like Blacks and Millets. Prisoners are paid between £6 – £25 for a full working week. If they don’t work they are punished. We are asking Blacks and Millets to stop stocking Maypole products until they stop exploiting prisoners. Prisoners that work in prisons have no rights to organise, no contracts, no sick pay – they have no use of the gains that workers have fought and died for over centuries. If prisoners refuse to work they are punished via the IEP (Incentives and Earned Privileges Scheme), losing visits and time outside. They are the ultimate captive workforce for capitalist industries and have been used to break strikes, while simultaneously taking jobs out of communities and into prisons. 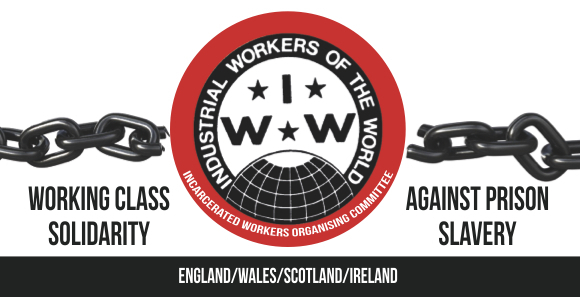 The IWW Incarcerated Workers Organising Committee (IWOC) is calling for a day of action against companies stocking Maypole products, until the company halts its exploitation of prison labour. Actions are currently planned for Bristol, Leicester, Sheffield and Liverpool (details to follow). If there isn’t one near you, we can help you make one! 2. E-mail iwoc@iww.org.uk or send us a Facebook message to request flyers and further information. Download the leaflet here. Afterwards, feel free to send us any photos, videos or write-ups of your event so we can let everyone know how awesome you were!